The fresh soya milk to fuel your day! The fresh soya milk to fuel your day. Made with 100% top grade Canadian soy beans, specially selected to ensure purity and quality. What’s more, they are Non-GMO (Non-genetically modified organisms), lactose-free, naturally cholesterol-free and high in calcium. 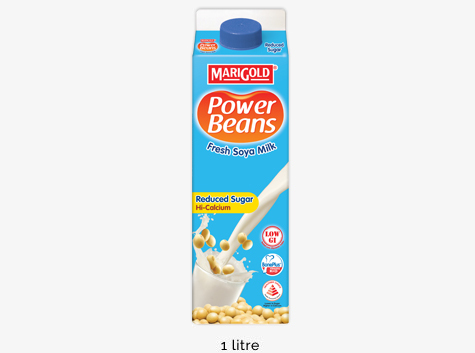 It ‘s also power packed with high-quality vegetable protein and isoflavones! 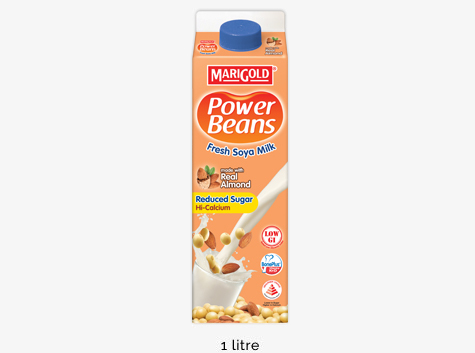 MARIGOLD PowerBeans Fresh Soya Milk is the only fresh soya milk that offers the added goodness of 5 Vitamin Bs and a unique BonePlus formula (Vitamins K & D) which work synergistically to enhance calcium absorption and improve bone strength. Making a protein shake? 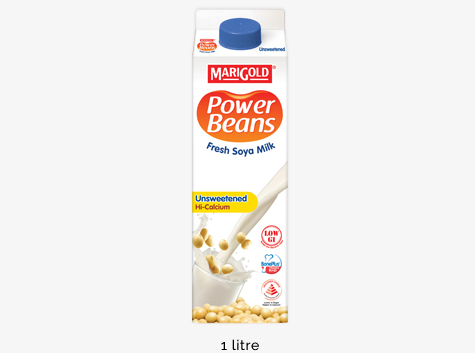 Why not use MARIGOLD PowerBeans Fresh Soya Milk? It’s high in protein and calcium for great bones and muscles!